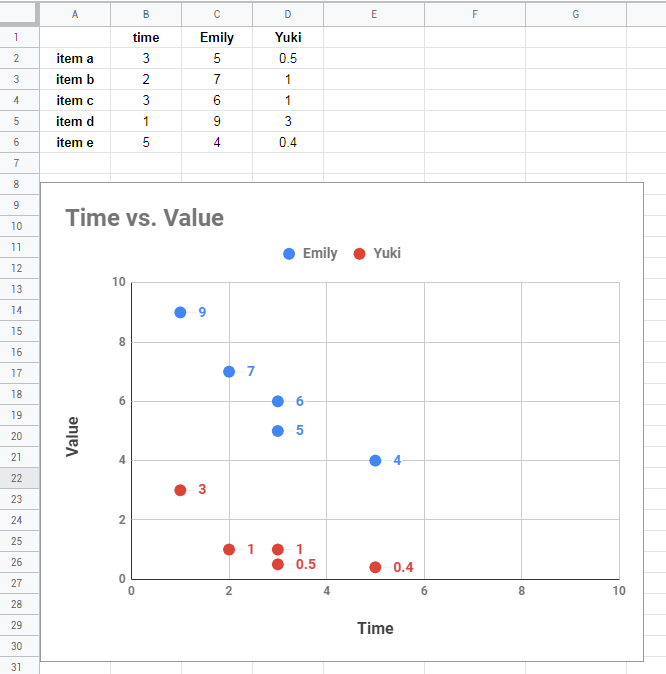 I want to create a scatterplot in Google sheets with multiple datasets, and yet still be able to add data labels for each data point. 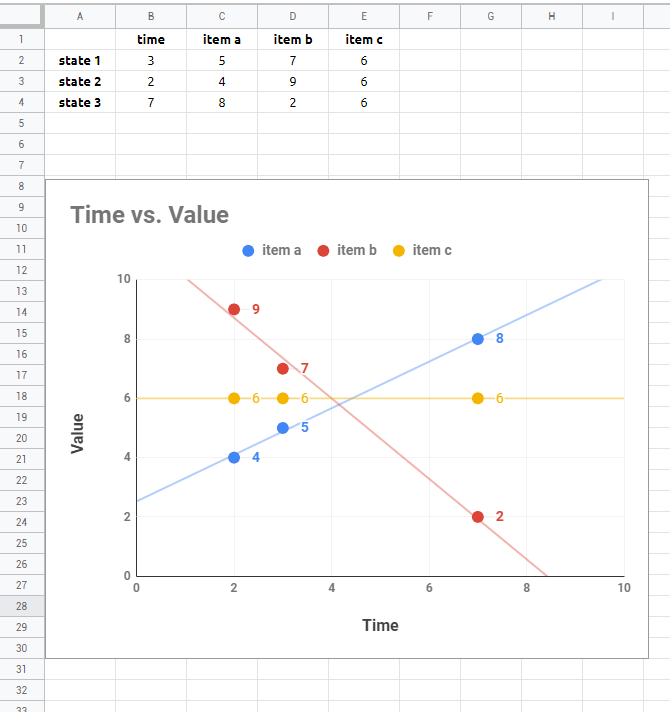 Additionally, it's two independent axis, which means some X values will have multiple Y values. 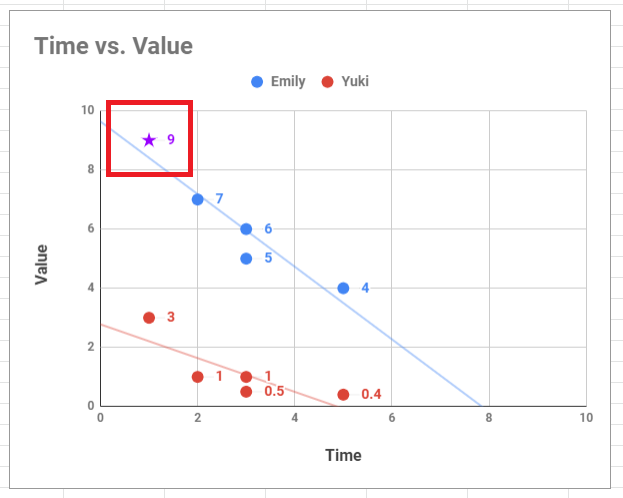 If by "add data labels for each data point" you mean "adding labels from A column to each individual point" - then that is not possible. 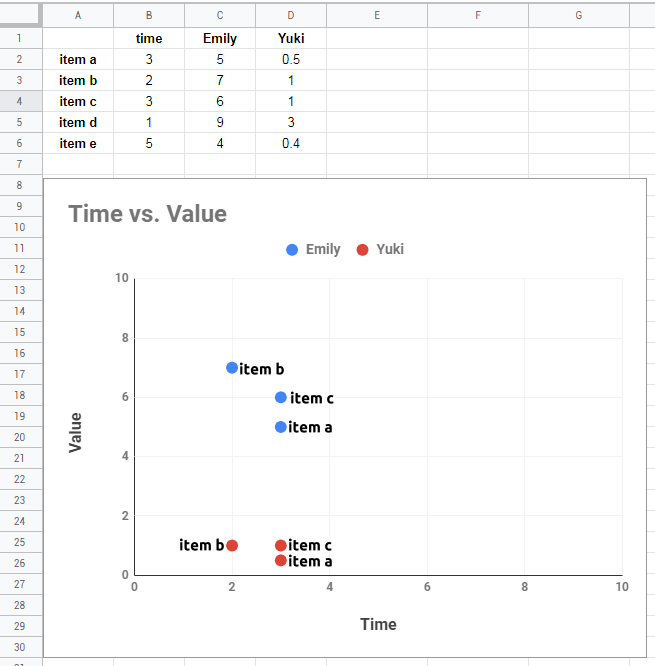 you can add only values as a label for each data point.